Removing and cleaning hard water stains and hard water deposits from glass shower doors doesn’t have to be tough! This question has been submitted to this web site many times, because many people struggle with this common stubborn bathroom cleaning problem. 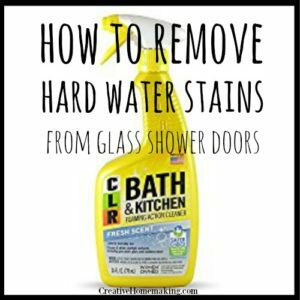 We have compiled a list of our favorite DIY tips for removing hard water stains from glass shower doors. We are confident that you will have success with these tips tops. Tip #1: Try spraying rubbing alcohol and wiping immediately. Clean houses for a living, and use the alcohol for glass and mirrors. Tip #2: First remove the hard water on your shower doors with Calcium, Lime, and Rust Remover (CLR) on a cloth. This stuff is toxic, but using it just the once will get ALL the hard water stains off. Once it’s clean, have everyone wipe the shower doors off with the towel they used on their body EVERY time they shower. Once or twice a week, spray the door with vinegar and wipe with paper towels. 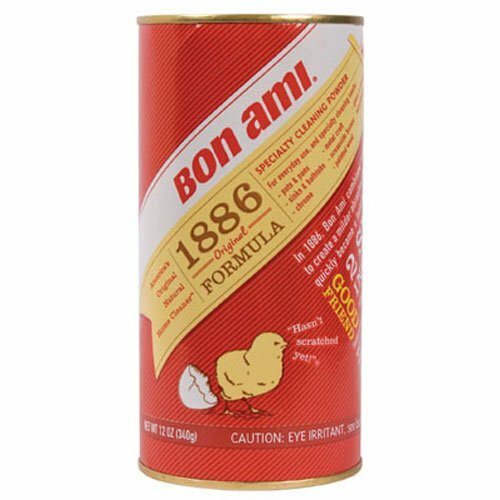 Tip #3: The best remover didn’t take it all off but most of it cleared up was Bon Ami Powder Cleanser –it’s in the cleaning product section by Comet/Ajax and it’s non-abrasive. Tip #4: I found Lysol bath and tub cleaner (I think) it’s a pink aerosol can to be the absolute best…spray on doors before you shower and it leaves them clean…also we have a small squeegee in the shower and squeegee after we shower to minimize cleaning. Tip #5: Lemi Shine works better than anything on all those hard water problems and in the dishwasher. 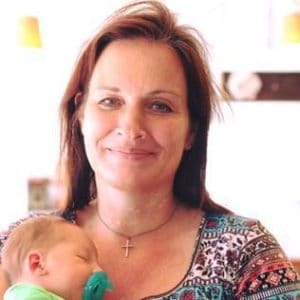 My kids used to love “washing” the shower doors with bar soap and of course I wasn’t able to get to it right away….I tried oven cleaner as a last resort and I have never tried anything else since!!!! It also works great on mildew on the tile! Tip #7: I have a hard time with hard water. This is one big project. Then you only have to maintain it afterwards. I have used toilet bowl cleaner. I start at the top of the shower doors and let it run down. Then I take a scouring pad and lightly rub the shower doors (use mask, fan, and long gloves) Rinse down. This should take off 90% of it. Then I take KABOOM Cleaner and spray the entire shower down. I let it sit for 20 minutes. After I squirt Soft Scrub on then take the scouring pad and scrub it all down, including the doors. Rinse with cold water. Then I take Turtle Wax and wax it all down. Let it sit. Then take a soft rag and rub it down. It leaves a nice shine and the water runs right off. Afterwards, for maintenance, I use a squeegie after showering and towel dry right after. Once a week, I use Comet to clean it up. Tip #8: I use a product called The Works Tub and Shower Cleaner — it’s a rust and lime remover. I use it all the time, it really breaks up the hard water stains. Tip #9: You may need to use one of these harsh chemicals listed in the other posts for the initial cleaning, but after that try Shout Laundry Stain Remover laundry pretreat for weekly cleaning. Works great, smells good (much easier to breathe) and is inexpensive. Tip #11: I clean houses part-time and whenever possible I prefer to use natural things to clean with. 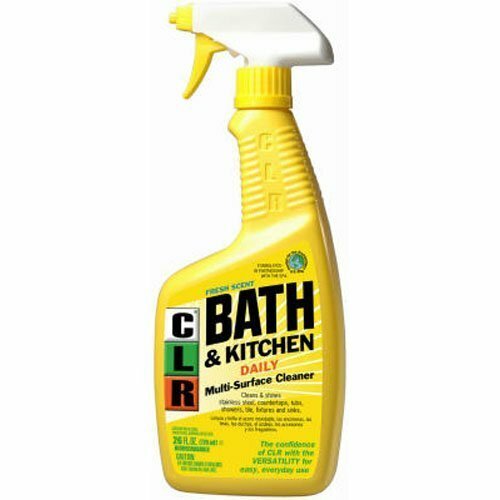 I once had particularly horrible shower doors to clean and tried everything from Vim, to Bleach to CLR, but nothing worked as well as plain old lemon juice. I just cut the lemon in half and scrubbed the door with the lemon! Tip #12: I use lemon oil to remove hard stains and lime buildup on the shower doors. Wonderful stuff, no scrubbing. Just wipe it on and wipe it off. 6 Comments on "Removing Hard Water Stains and Hard Water Deposits on Glass Shower Doors"
I just use a lemon. Rub it on and wipe off. Takes a few tries but it works. While glass looks awesome when it’s clean having 3 young kids usually means it doesn’t stay this way for long! thanks so much for these tips, I’m always looking for easy cleaning solutions. P.S my kids also love ‘washing’ the shower screen and the tiled wall behind the bath! I have used lemon oil for years. Use a clean damp sponge, drop a liberal amount of lemon oil. Wipe on shower door. When it turns white, rinse sponge & repeat application of oil. When finished, wipe show door with a clean cloth. I used denatured alcohol very diluted spray on any glass removes everything and leaves shining. Using oven cleaner didn’t work and it stripped the paint off that is around my shower door it went from gold to sliver ….. DO NOT USE OVEN CLEANER!!!! Thank you so much for that information. I will not be using oven cleaner now.